As an investor, you need to have the right skills in order to let your business make your business survive. With the use of your iPhone, you can certainly do more things in one time by using the exact application to make your job easier. 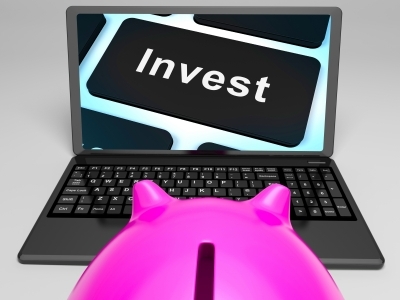 Below are five important applications that allow you to be more intelligent investor. As investor, you need to be aware of the latest news and development in the foreign exchange market. The Bloomberg application can certainly provide you with the latest news and information of Forex and Stocks exchange happening around the world. By being the first to know, you can definitely make good decisions about your investments as you begin the day. This app is available at any given time of the day. It would be a great advantage to use Bloomberg at the beginning of the day. By using the stock alter app from your iPhone, you can get first-hand information on the movement of stocks from the start of the day until the dayâ? ?s end. Information about stocks is important. Since you will be prompted by your stock alerts app instantly, you can keep track of your stock investments and likewise be able to invest wisely. The stock alerts are a simpler interface as compared to the stock monitoring portfolio. The FS viewer is a great iPhone app which allows you to have a list of the top companies who are making good money in the stock market. You can also be informed of the best companies to invest in as the app will give information about these companies from present to six years back. By knowing this, you can easily determine which company is best to invest in. The FS Viewer also provides financial statements on companies you are interested in. Making decisions can be easier. Any smartphone, by default, is created with a built-in calculator. As for investors, there is the so-called financial calculator app which is used for more complex types of financial calculations. The financial calculator is a helpful tool in providing needed information such as interest computations, amortizations, net present value, cash flow analysis, and bond valuations. By using this app, you are properly guided in computing your invested money. You can also use this app to determine the strength of a company in terms of financial stability. In here, you just have to input the companyâ? ?s data you can easily be given estimates about the companyâ? ?s value. If your investments are focused on the US Market, the Yahoo Finance is a great venue for you to keep track of the marketâ? ?s movement in the US. In here, you can also grab the latest news in the stock market as well as analyst ratings and company financial statements. Being an intelligent is just a matter of acquiring and using precise data and information which you can acquire from specific iPhone apps. For as long as you have these tools kept in your pocket, your investments are tracked well.